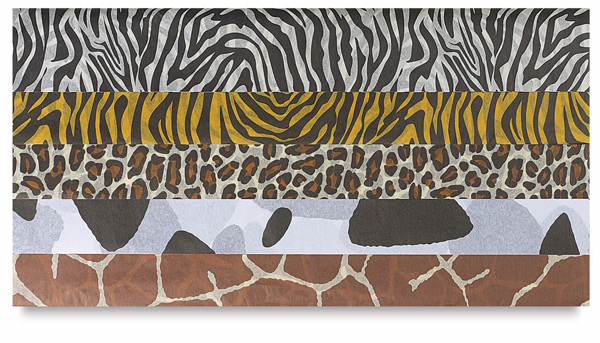 Fun for decorative projects or gift packaging. 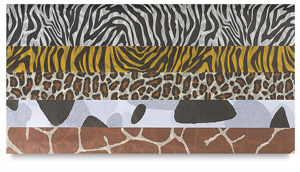 Assorted Animal Skin tissue pack has four sheets each of 5 animal skin designs — Leopard, Zebra, Tiger, Cow, and Giraffe. Tissue is non-bleeding. Package contains 20 sheets of tissue measuring 20" × 30" (508 mm × 762 mm).